Keep in mind that all OLED TVs are excluded from this list. Here are our favorite LED backlit TVs for 2018/2019 including 4K UHD and 1080p LED TVs. For the second year in a row this Sony X900F takes first place due to it's superb processing of standard def and HD source material, and excellent HDR playback performance. Since Sony produces lots of HDR content, I think they have an advantage in how to best show it off. This TV also produced in lots of other sizes. The X900F is equipped with enough processing firepower to enhance color and light in such a way as to somewhat mimic content that was originally produced in HDR. That's the goal with the included new technologies - full array backlight and X1 processor . The NU8000 has some really great picture technology at a value price! 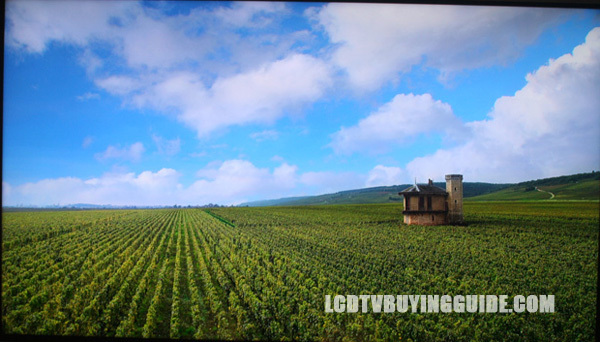 The QLED models from Samsung have a wider color gamut for HDR viewing, and some other advantages like better local dimming and better glare reduction filters in the panel. New feature specs for this years models are Dynamic Crystal Color, HDR 10+, True HDR 4K Gaming, with a UHD Remastering Engine. All these names basically describe the chip sets used to sharpen color, contrast, and image quality. Samsung is marketing this panel feature which is included only in the Q8 and Q9 QLEDs for those of us that do not adjust room light conditions when watching TV. 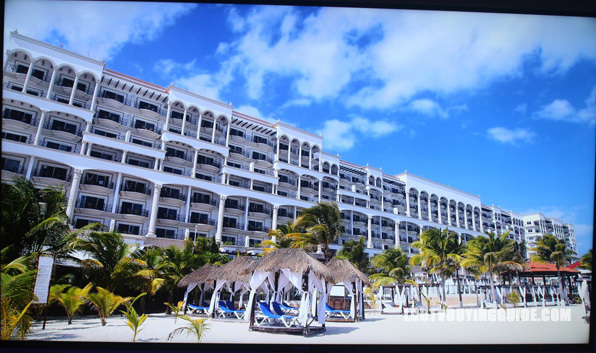 This technology built in the Ultra Black panel increases brightness while decreasing glare by using micro dots on the surface of the panel to help redirect light from surroundings that would otherwise cause glare on the screen. This is basically a very large size value model. The biggest downgrade from the X900F in the Sony lineup above are that the X850F has no full array backlighting and instead is edge lit. Side angle viewing: One of the best performances we've seen in this area for a mid-priced 4K TV although this is still a weakness of all LED-backlit LCD TVs. The IPS panel included in the x850F is built for better side angle viewing, making this a good game day TV. 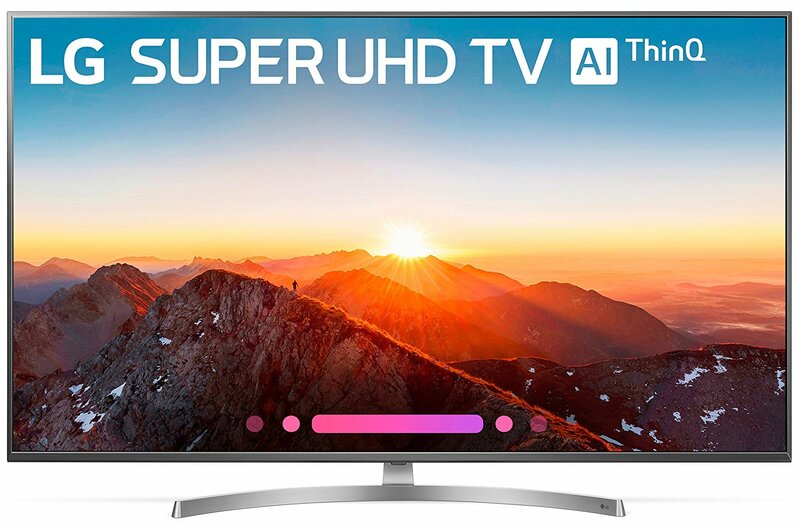 Not only is the SK8000 HDR compatible, LG has added emphasis on upconverting standard definition signals to HDR-like quality (read about HDR below). The features is called HDR Effect, and I thought id worked well – improving brightness and color in various areas of the picture. There is no more important component of a 4K UHD TV than the video engine – particularly the ability to upscale/upconvert resolution to the native resolution of the panel. LG's a7 processor does a very nice job in this regard, and with much improvement over last year's models. For the second year in a row this Sony X930e takes first place due to it's superb processing of standard def and HD source material, and excellent HDR playback performance. Since Sony produces lots of HDR content, I think they have an advantage in how to best show it off. This TV also produced in 55". New feature specs for this years models are 4K Color Drive Extreme, 4K HDR Extreme, Triple Black Extreme, with a UHD Remastering Engine. All these names basically describe the internal chip sets used to sharpen color, contrast, and image quality. They provide a slight improvement to last year's excellent KS model in picture quality. The MU8000 is similar and produced in 55". The difference this year in Samsung's QLED offering and last year's Nano Crystal technology is improvements in the QDEF layer or quantum dot layer whichever you want to call it. It adds detail, clarity, and depth to the picture. Local Dimming is another highlight to this excellent screen. It's slightly better than the MU9000 listed in the #2 slot, but also a bit more expensive. This model is similar to the X930e listed above except it costs slightly less. The X900E is equipped with enough processing firepower to enhance color and light in such a way as to somewhat mimic content that was originally produced in HDR. Not only is the SJ8500 HDR compatible, LG has added emphasis on upconverting standard definition signals to HDR-like quality. The features is called HDR Effect, and I thought id worked well – improving brightness and color in various areas of the picture. Sony wins first place with their 4K UHD XBR-65X900C LED with it's excellent processing engine. For up-scaling normal HD and standard def I like Sony best. The new HDR feature is also excellent if you can find some HDR content. 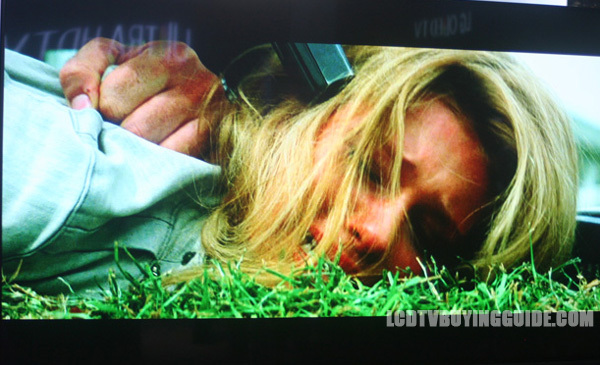 Since Sony produces a lot of the new HDR content, I prefer their TVs to show it off. 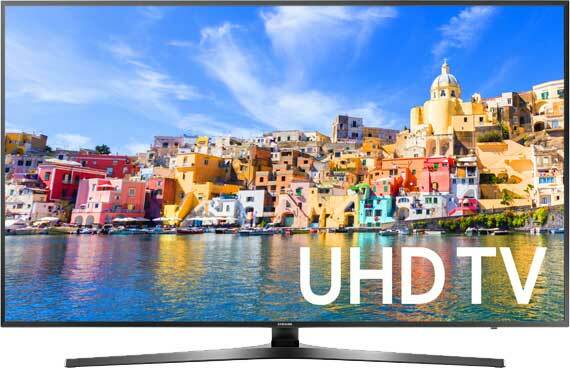 Samsung UN65KS9000 Samsung has a whopping (in price and quality) 4K UHD model called SUHD. The“S” stands for Super not Samsung. The SUHD has a new Nanocrystal film layer and color system DCI P3 to deliver a wider color spectrum called HDR. The Ultra Clear Ultimate panel really delivers the brightness and light flow. Priced pretty reasonably for the quality at $2700. This Samsung is one of our favorite value LED TVs again for the year. It has a great feature set without going overboard on price. Contrast, color and light flow from the ultra clear coat panel are great and it has exceptionally low input lag during gaming. Also see its curved screen 65” cousin, the Samsung UN55KU7500. 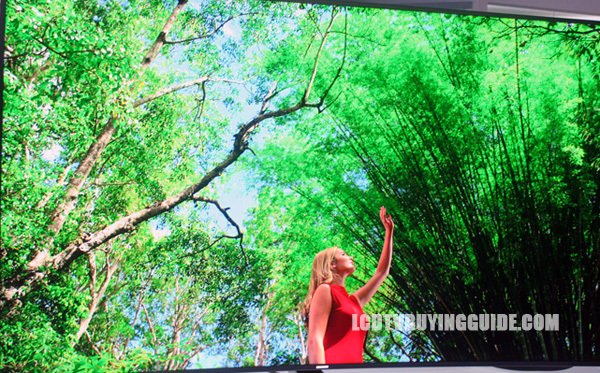 This LG 60” model also delivers good value at just $1600. Sound quality and the Magic remote are two highlights along with Quantum Dot technology and HDR compatibility. It's quite a deal. A fantastic value model from Vizio with full array backlighting which presents very even backlight uniformity. The 65” model sells for $917, with quality 4K upscaling. The TV has surprisingly good clarity and definition. This TCL delivers the price at only $589. It's got 4K resolution and the excellent Roku TV Smart TV menu and options. 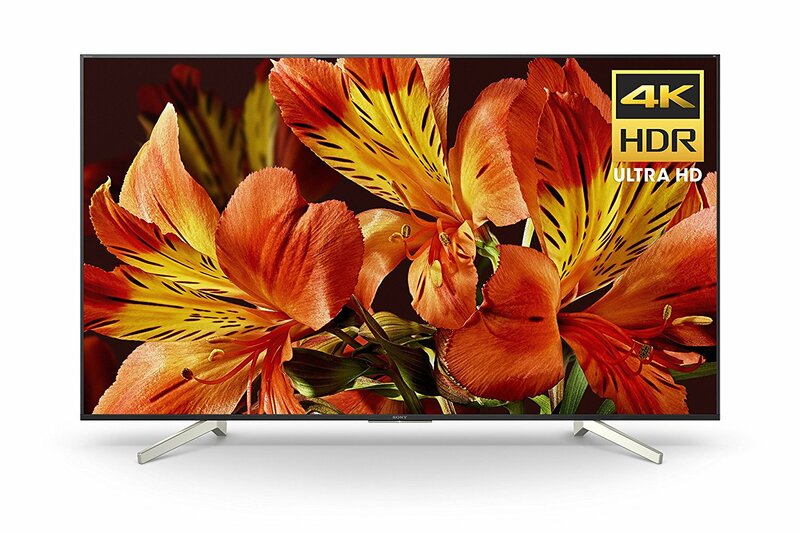 For $797 and change the KU6300 has some of the best future proofing featurs including 4K and HDR compatibility. The 60Hz panel is the major drawback and concern. Sony wins first place with their 4K UHD XBR-65X900C with it's excellent processing engine. For up-scaling normal HD and standard def I like Sony best. Also consider the XBR-65X930C with effective side mounted speakers. Also see the current XBR-65X950B and XBR-65X850B. This Samsung is one of our favorite value LED TVs for the year. It has a great feature set without going overboard on price. Contrast, color and light flow from the ultra clear coat panel are great and it has exceptionally low input lag during gaming. 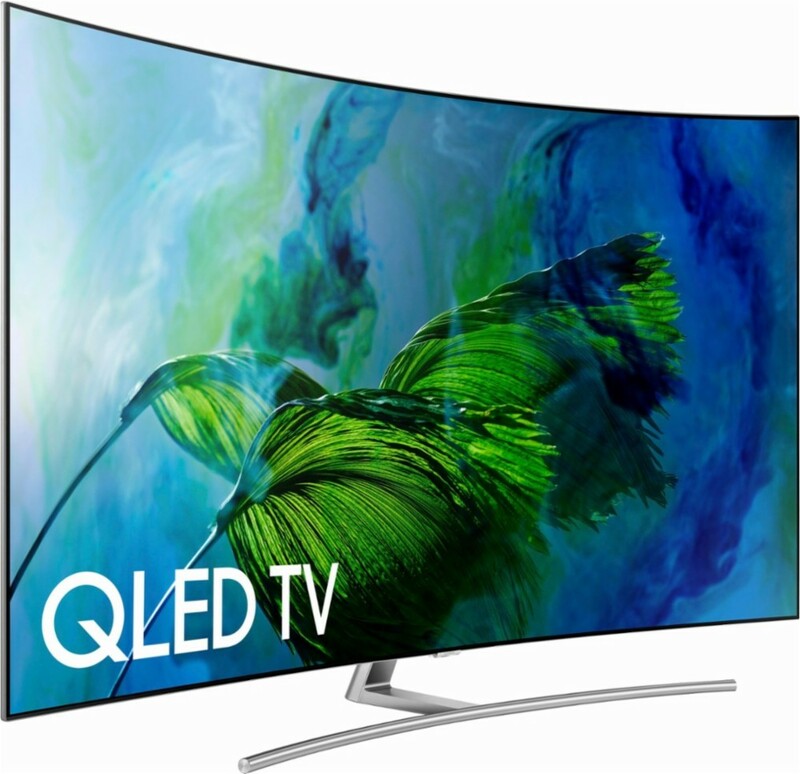 Also see its curved screen 65” cousin Samsung UN65JU7500. This LG 60” model also delivers good value at just $1600. Sound quality and the Magic remote are highlights. A fantastic value model from Vizio with full array backlighting which presents very even backlight uniformity. The 65” model sells for $1700, with quality 4K upscaling. 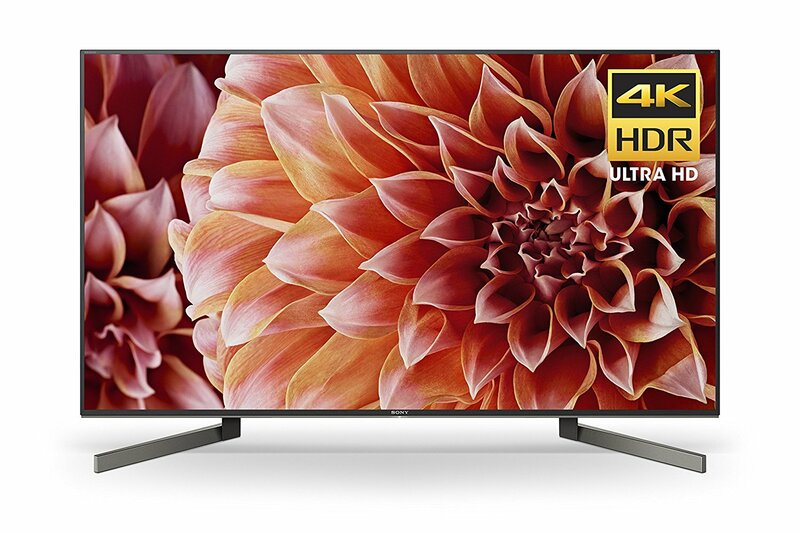 For $599 for 55” of very good picture quality from front and center, it's hard to beat this Sharp model from a price perspective. It also has the essential Smart TV options. 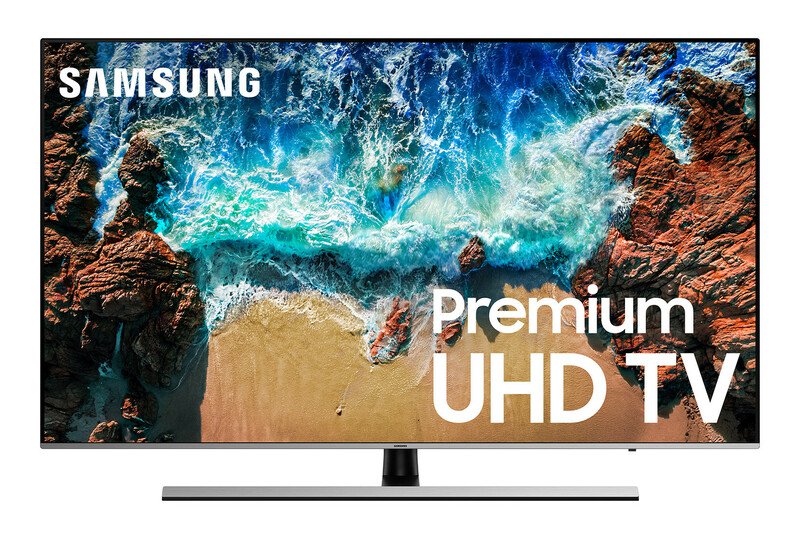 If you're into the curved screen look and want to future­proof with HDR compatible 4K then the JU6700 model from Samsung keeps it inexpensive but with still great quality. The 60Hz panel being the major drawback. If you need a simple small 32” with Smart TV built in, it's hard to go wrong with this little Vizio option. If massive is what you want, this 80” Sharp 4K has very good upscaling technology built in. The Smart TV options are decent and the 120Hz panel does a good job with motion.